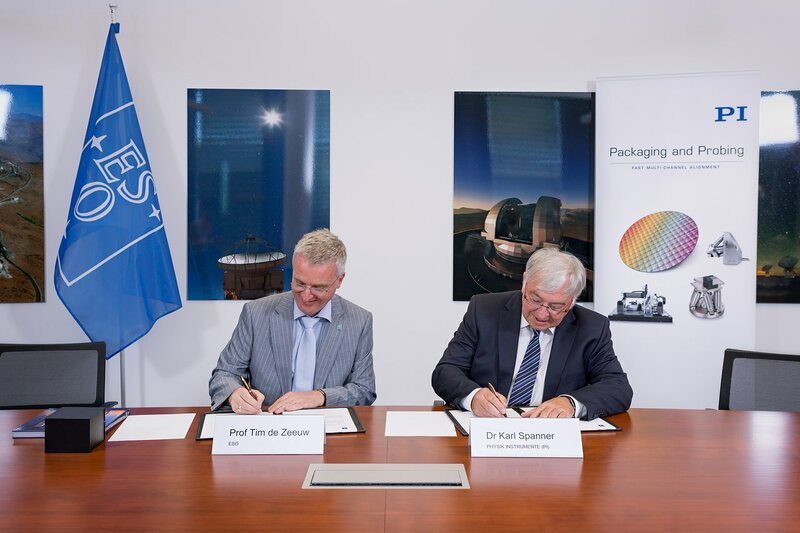 ESO has signed a contract with the German company Physik Instrumente GmbH & Co. KG, based in Karlsruhe, to construct the position actuators (PACTs) that will adjust the positions of the 798 hexagonal segments of the primary mirror of ESO’s Extremely Large Telescope (ELT). The segments that make up the ELT’s enormous 39-metre main mirror will be connected to the main telescope structure via a support system (ann15003), of which the PACTs are fundamental components. Each segment, some 1.4 metres across and weighing 250 kg will be mounted on three PACTs — meaning 2394 in total. The PACTs will support the segment and actively control its position in three directions, known as piston, tip and tilt. The control system of the ELT primary mirror will initiate tiny adjustments to the PACTs to maintain the mirror’s overall shape, correcting for deformations which may be caused by changes in telescope elevation, temperature and wind forces, as well as limiting the effects of vibrations. 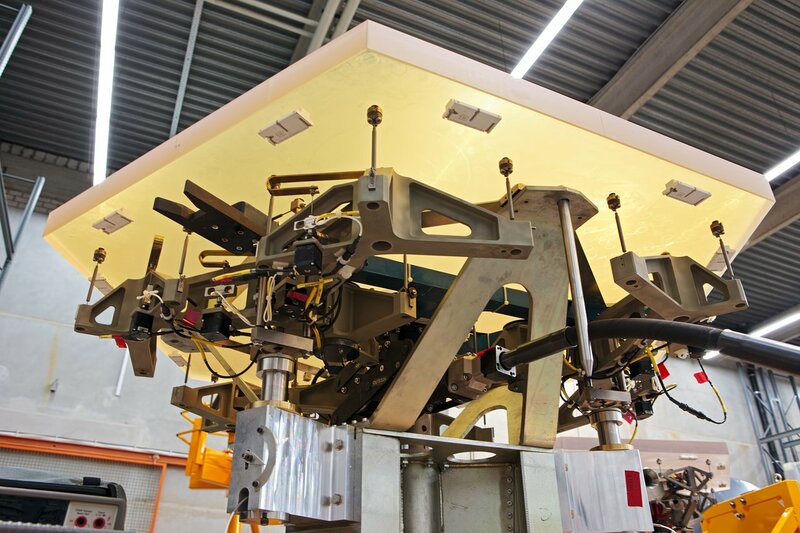 Physik Instrumente has worked with ESO before, providing the hexapods that align the subreflectors to the large main reflectors of the radio telescopes that make up the Atacama Large Millimeter/submillimeter Array (ALMA).